Lock in a great price for Selvista Guesthouses – rated 9.1 by recent guests! It’s a unique place, not sure it’s for anyone. It really is in a very natural surrounding, for good or bad. 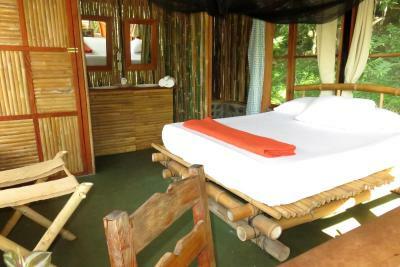 The room was nice, clean and well designed, with a comfortable bed, and a beautiful balcony overlooking the jungle. 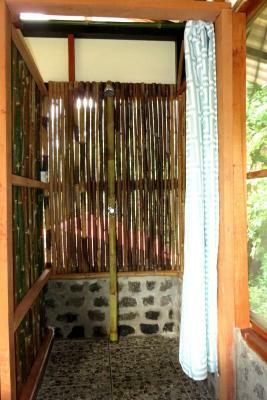 The shower was also nice (no hot water), and the mosquitoes net was doing a good job! The staff was super friendly, attentive, and helpful. This place is spectacular! 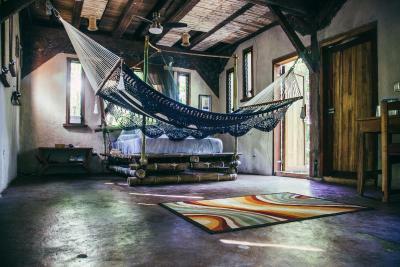 It is very unique and different from anywhere else I have ever stayed. You are a part of the forest here, and you feel like you are a million miles from anywhere. 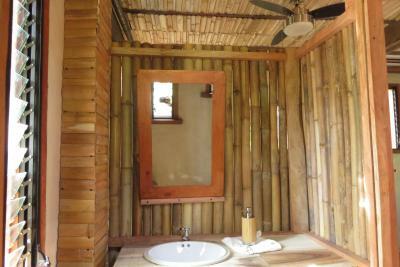 The bed was comfortable and the bathrooms were new and beautiful. 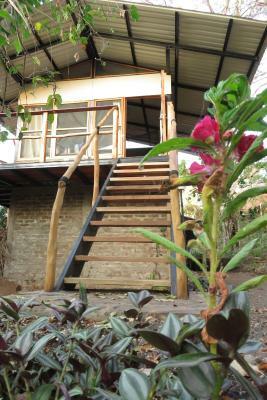 The property is fantastic and we got a wonderful free tour of the permaculture farm that is not to be missed. I learned so much and was amazed by the incredible things they are doing there. Communication was excellent pre arrival, and the on-island driver they recommended was top notch. I can't say enough great things about this place and I cant wait to return in the future. 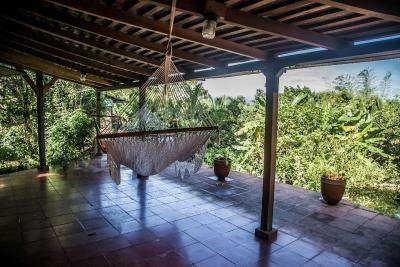 The property is on an organic farm, it is lush, green and teeming with birds and wildlife. 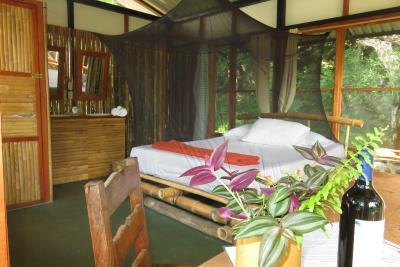 The rooms are very comfortable and provide the feeling of being right in the jungle. Staff was great and very helpful, assisted us setting up hikes and kayaking. All the fruit that grows on the property is free to eat, i learned how to chop open coconuts with a machete! Kitchen has lots of spices to use for cooking, can get delivery from 2 restaurants to property as well if felling tired after a big day. Amazing place! Loved everything about this place! Friendly & helpful staff, lots of character & nature, delicious breakfast, and more! 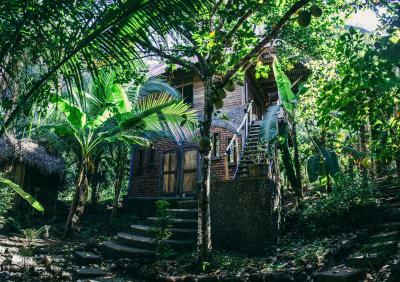 We stayed in the two story jungle house with volcano view and it was perfect! The place also seemed to attract only the coolest guests, so it was nice eating and chatting with others in the outdoor kitchen area. The guesthouse we stayed in was airy, clean, and beautiful. It was at canopy level so we were just at the top of the jungle and could see and hear birds and monkeys. The food and coffee served was wonderful. Breakfast was served each morning and was made with fresh food from the neighbor high farm. Breakfast included eggs and fruit of some sort. The grounds are incredible and felt like a true get away. It takes some effort to get here, but it is totally worth it. We took the ferry to San Jose and then rented a motor bike. Having the freedom of a motor bike makes the experience much more enjoyable than having to hire taxis. The staff was amazingly helpful. They helped us set up a hike to the top of the volcano, were incredibly knowledgeable about Ometepe and gave us tons of recommendations around the island. 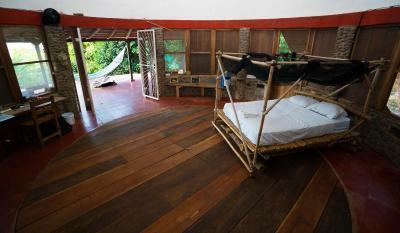 We really enjoyed the overall experience of staying in an ecolodge. We loved it. Also we enjoyed the fresh food made and the fresh fruits from the farm. 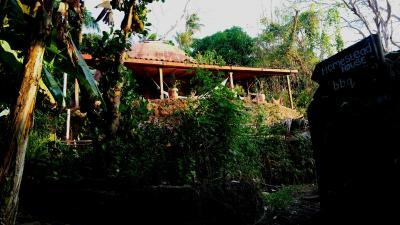 We realy enjoyed our stay at Selvista guesthouses. 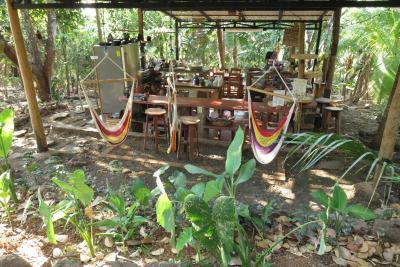 We stayed 5 nights in the jungle house which had the most wonderfull view of volcano Concepcion and surrounding jungle. This place was beyond our expectations! 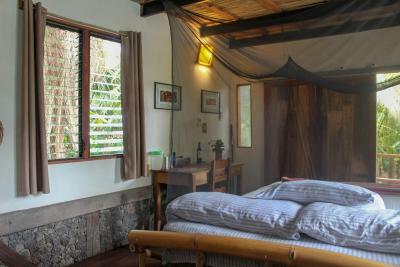 The lodges are surrounded by jungle so you feel realy close with nature, but still you have a lot of comfort. 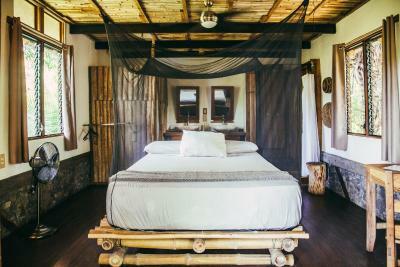 The lodge is ideal for a couple or a honeymoon! The breakfast was made with fresh ingredients from the farm and you are welcome to try other fruits from the farm as well. Megan and the staff were realy nice and always smiling. Megan was so nice to arrange 2 taxi's for us to bring us safely to managua airport. Thanks everyone for this wonderful stay! Large, free-roaming property. 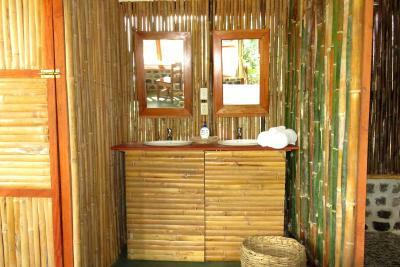 You can pick your own fruits, vegetables, spices, and herbs and cook them in the communal kitchen if you like. Free coffee/juice and breakfast made for you every morning. Lots of privacy but you can meet others and hang out in the kitchen or game room area. I love how they bring business to community by utilizing the services they provide, bike/atv rentals, taxi services, were all with the same people they partner with in the area. 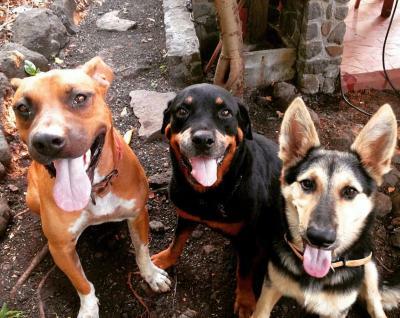 The dogs on the property act as security as well as companions along your walks, hikes, or just hanging by the kitchen. So much I haven't mentioned but all in all the services exceeded expectations and is well worth the money spent. I would definitely stay again. This property was in a beautiful location. The staff was outstanding and very helpful. We loved having a scooter at this property as it is slightly out of the way, but makes for a great experience. It was awesome to get the farm tour and learn about permaculture and the different plants around the property. For the nature lover, this is an amazing immersive experience in the wild. 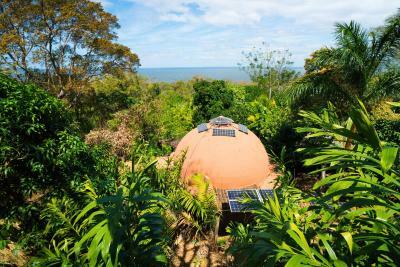 The story behind Selvista is wonderful and the concept of permaculture and working with nature can be experienced in high definition! If you're a tree hugger with an appetite for adventure, this is for you. One of our top picks in Balgue.Selvista Guest houses is a barefoot luxury collection of jungle guest houses on the slopes of the Maderas Volcano on Ometepe island, 19 mi from the port town of Moyogalpa. Guests can enjoy the on-site honesty bar. Free private parking is available for the the 4x4s that can easily reach the property. 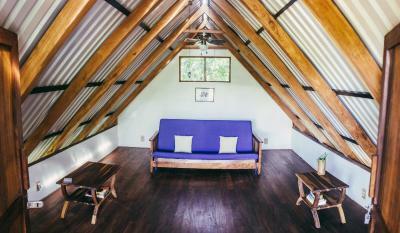 Free WiFi throughout the property is available. 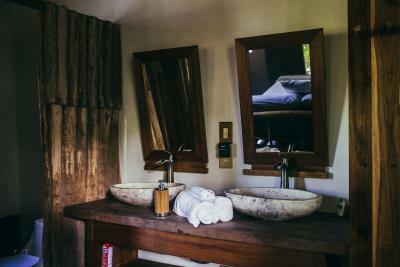 Rustic room feature private outdoor showers. 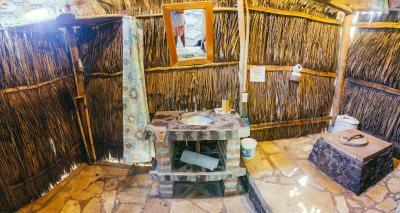 All rooms include indoor, private bathrooms with modern flush toilets. Luxury rooms have hot water and private balconies. 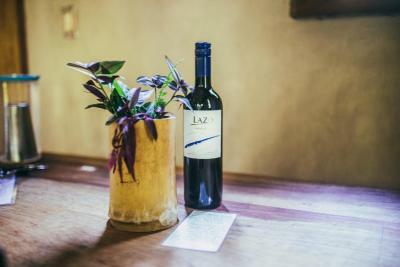 The property features a greens garden and a shared kitchen, fully equipped for guests who wish to cook. 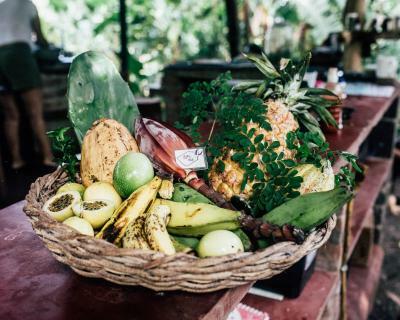 Breakfast is served each day and includes fresh fruits, freshly toasted Nicaragua coffee, and natural juice. Food delivery service is often available from restaurants located in the nearby town. Cooked breakfast is available to order upon request. 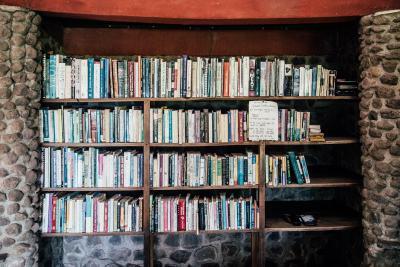 Guests can enjoy various activities near the property, including volcano hikes, coffee tours, taxi transport, and rental of bicycles, scooters, motorcycles, and ATVs. 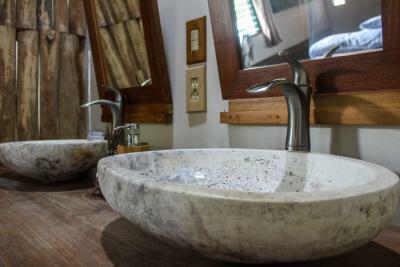 Selvista Guest houses offers free farm tours to all guests. 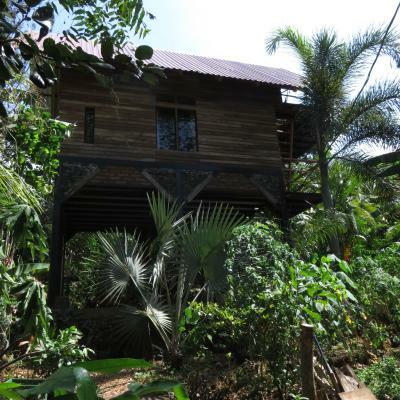 The entire property is a lush tropical forest, abundant with plant and animal life. 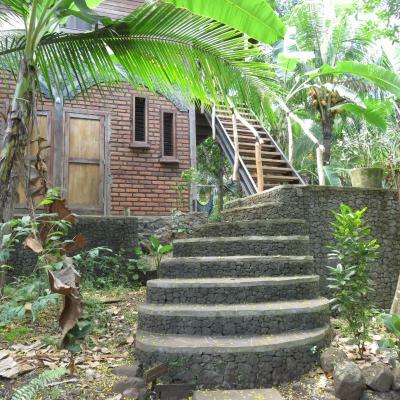 Located within an permaculture farm, guests can walk 15 minutes down into the town of Balgüe, or 10 minutes up to the entrance of the Maderas volcano trails. 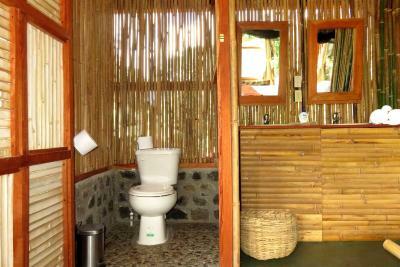 Altagracia is 7.5 mi from Selvista Guest houses, while the Ometepe Airport is 17 mi from the property. 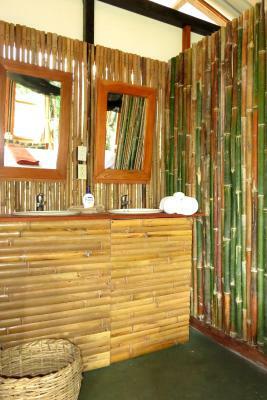 When would you like to stay at Selvista Guesthouses? 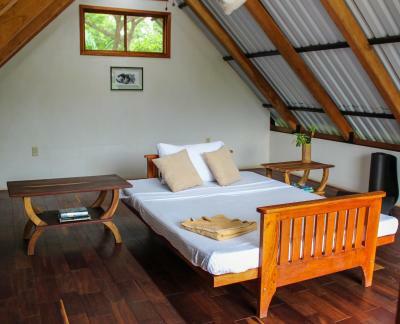 This suite features a balcony with volcano view, sofa, ceiling fans, modern flush toilet, and hot water shower. 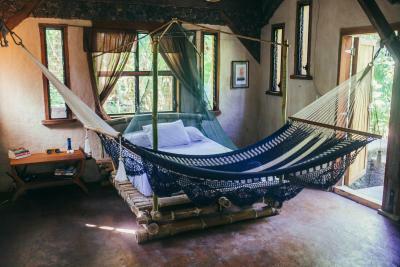 This suite features a porch with forest view, outdoor hammock chairs, ceiling fans, indoor flush toilet, and hot water shower. 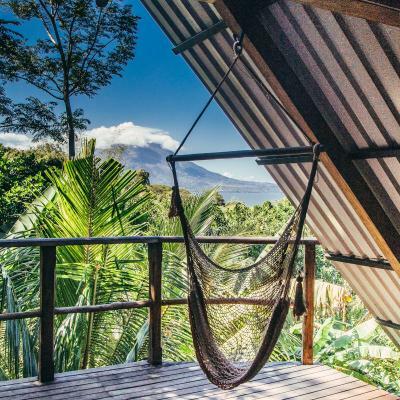 This studio features a porch with volcano view, hammock chairs and outdoor furniture, outdoor compost toilet, and en-suite warm water shower with a view. 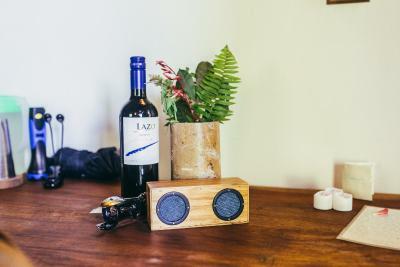 House Rules Selvista Guesthouses takes special requests – add in the next step! Please note that the property is managed by a team of local employes during the day, but no staff or managers stay on site overnight. Please inform Selvista Guesthouses of your expected arrival time in advance. You can use the Special Requests box when booking, or contact the property directly using the contact details in your confirmation. Everything was great, it was a long wait to get checked in but that's the only complaint. It's also very loud because they hostal essentially turns into a night club a few nights a week. 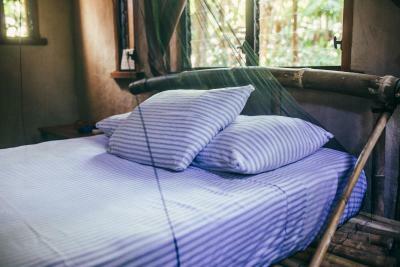 The air was thick with mosquitoes, was hard to have a conversation, make food in the open kitchen or whatever without getting mosquitos in your face or food. I have never experienced something like this, and in the beginning we thought this was just a unlucky time of the day or season, but we could understand this was normal! 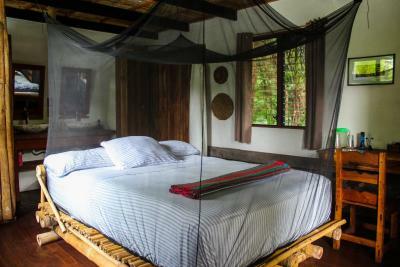 It was a struggle to get in bed under the mosquito-net without getting 10-20 mosquitos with you. And we couldn’t really enjoy the view or place from other places than the bed! That said, the mosquitoes didn’t really bite, but still annoying. The included breakfast was fruit and tea/coffee. Had to pay extra for egg etc. And the place is a long walk from town, especially if you walk home at night! Expected that the place would have a map of treks and trails nearby, but the staff just point you in a direction, and you’re on your own. Watch out for the dogs at the property nearby if you decide to explore anyway! 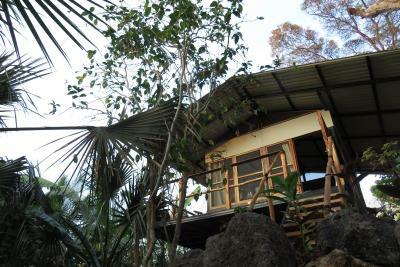 The cabins seems well maintained and has great views to the Volcano. 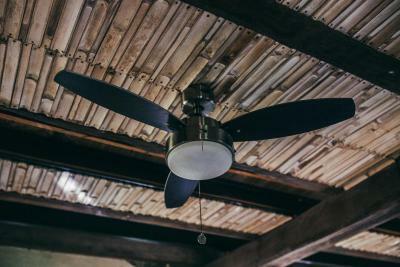 We stayed in the end of the dry season, so the heat and bugs were a lot to bare. Our problem was that in this hot season, we didn’t find a place to just sit and relax. During the day the room was super hot, and on the balcony there isn’t a fan. The commune area was full of flys and doesn’t have a real place to chill. During the evening, when we wanted to relax in our balcony, the light just attract hundreds of flies, so we couldn’t really enjoyed it, but the communal area was nice to sit at night. This is not really managment issues, but just be prepared to live natural life. Nothing. Everything was perfect. 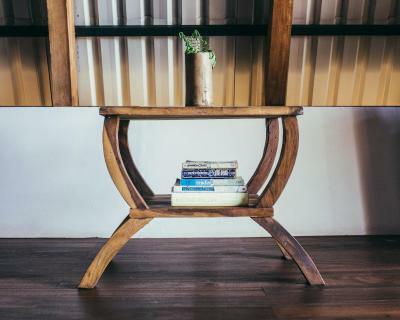 It is rustic yet classy. 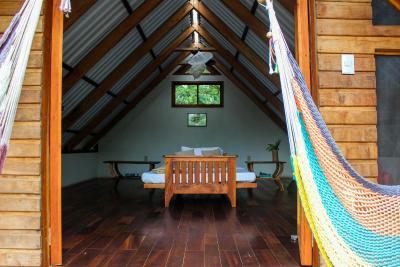 If someone does not like nature or bugs (outside) they might not like this place, but if you don't like those things, then what are you doing vacationing in Central America on an island? If you are afraid of spiders, you should avoid this place! We had a great time at Selvista Guesthouse. It‘s a very beautiful place close to Balgue. You are surrounded by nature and the apartments have everything you need. Basic breakfast includes different fruits from the place, but you can upgrade with several options. Staff is very friendly and helpful. Highlight of our trip. We loved the communal kitchen which was great for interacting with the other travellers. 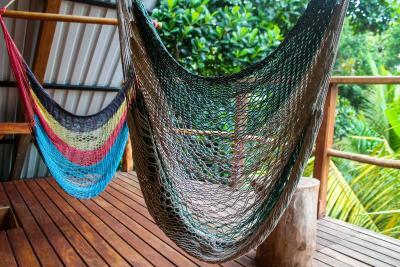 We stayed in the homestead room which was beautiful with a hammock overlooking the volcano. Everything was easy contacts were given for hiring motorcycles and guides for the volcano hikes. Highly recommend this place. Staff were amazing. Amazing houses in the middle of forest. Great hosts, helped us to arrange the taxi and motorbike rental. Very tasty breakfast. View from the upper balcony is great. Great price/value ratio. Very clean, quiet environment. The gardens and surroundings where Selvista Guesthouses are located are really peaceful and beautiful! I had the best time, I really felt welcome here, breakfast is great and you can eat all the fruit and veggies they have in their garden! Thanks for the wonderful time guys!